A neighbor says an Army psychiatrist suspected of opening fire on fellow soldiers at Fort Hood, Texas cleaned out his apartment in the days before the rampage. Neighbor Patricia Villa says Maj. Nidal Malik Hasan came over to her apartment on Wednesday morning and told her he was going to be deployed on Friday. She says he gave her some frozen broccoli, some spinach, T-shirts, shelves and a new Quran, the Muslim holy book. She says he returned on Thursday morning and gave her his air mattress, several briefcases and a desk lamp. Villa says Hasan then offered her $60 to clean his apartment Friday morning after he supposedly was to leave. 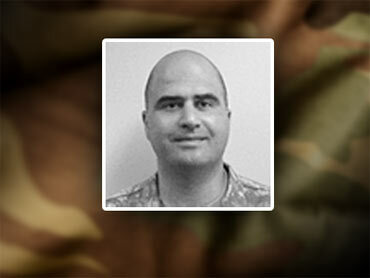 Authorities say Hasan on Thursday went on a shooting rampage at Fort Hood that left 13 people dead. and are looking for clues that may have led to the military massacre. A U.S. law enforcement official said that Hasan's apartment in Killeen, Texas, was searched early Friday. It was not immediately known if FBI agents found anything suspicious on Hasan's computer files. A military official said investigators also are sifting through materials Hasan carried with him during the shooting incident and evidence left in his vehicle, which was found parked at the base. The officials spoke on condition of anonymity because of the ongoing investigation. Another neighbor at the apartment building near Fort Hood where Hasan lived said they had recently discussed his impending deployment to Afghanistan. Suspect's Past Marked by "Difficulties"
Obama: Fort Hood Shooting "Horrific"